The Long Grove Historical Society’s Fifth Annual Ghost Walk will be held Friday night, October 27th, 2017 from 6:00pm to 9:30pm. 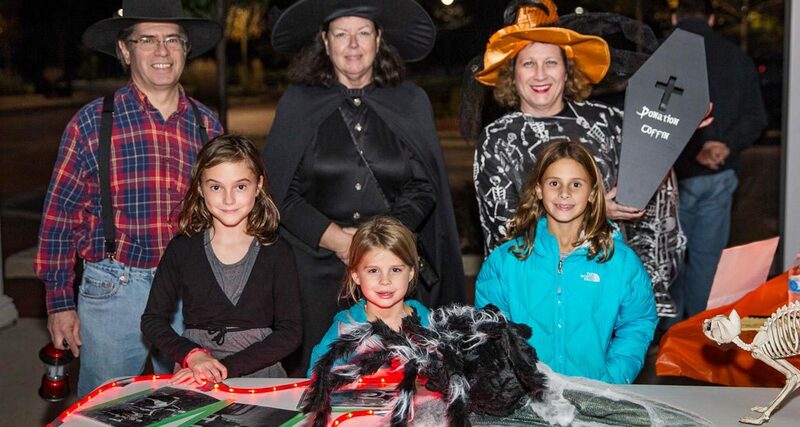 The event is family friendly and involves a haunted hour long walk through the historic downtown. Required donation of $10/adult and $5/children(Grades K-8). Reservations are required and space is limited – the event has always sold out a week or two prior to Ghost Walk. Click here to reserve your spot on the Ghost Walk. How long is the walk? Around an hour. How does the walk work? You and 15 or so other victims, are led on a walk around the historic downtown by a costumed guide. 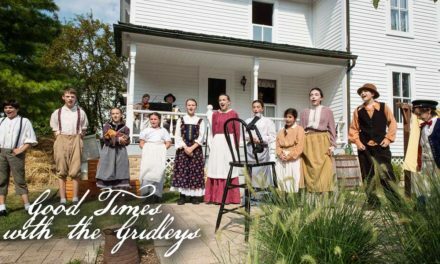 At about a half a dozen locations you’ll stop for a few minutes to meet some characters from Long Grove’s past. Some of their tales seem to jive pretty closely with real history, but other parts seem like they’re lavishly embellished. They’re old and dead so we cut them some slack. 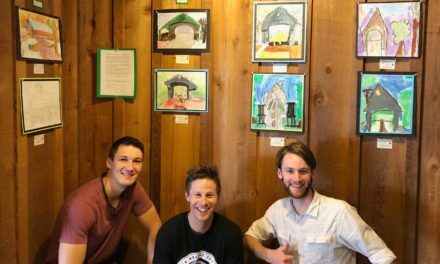 Is it appropriate for kids? Yes, it’s family appropriate. We advise performers to keep it PG-13. You will be scared at times, and maybe creeped out a little, but in a fun way. Can I bring my dog on the walk? Seriously? No. What if it rains? That’s why you bring an umbrella… the event will happen regardless of weather. Where do I park? The two big village lots, the Archer Parking Lot, and the Stempel Parking Lot in downtown Long Grove will be your best bet. Do I have to pay for my two year old? Anyone below Kindergarten is free. So unless your two year old is super advanced, they would be free. My kid is a sophomore in high school, but he’s really small, so doesn’t take up much room. Do I have to pay the adult or kid price? Adult – high school age and up are considered adults in our ghost walk. Do you have an address for my GPS? Enzo and Lucia Restaurant, 343 Old McHenry Rd, Long Grove, IL will get you real close to the walk check-in and the parking lot. I bought a non-refundable ticket, but now can’t come – can I get a refund on my non-refundable ticket? No, but we appreciate the donation. Is the walk handicap accessible? No. I have a group of a dozen people – there’s no reservation slot with enough space left for us… what do I do? If you don’t want to split up across two times, email Angie@LongGroveHistory.org and we’ll see if we can work something out. I have a question that’s not listed here? Email Angie@LongGroveHistory.org and we’ll get you an answer. Why do I need a reservation? We don’t want everyone to have to wait around in the weather in a queue for an hour awaiting an open spot. 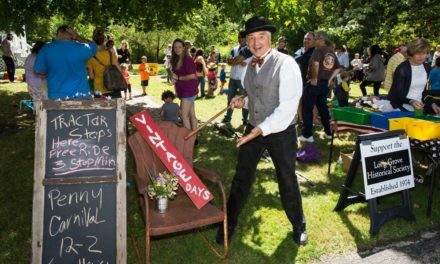 Last year no shows were minimal… so your odds of just showing up and going are not good. Every year I try to get a reservations, but it’s always sold out. What gives? We’re an all volunteer group that receives no public funding. We simply don’t have enough volunteers to put on the walk for more than one evening. 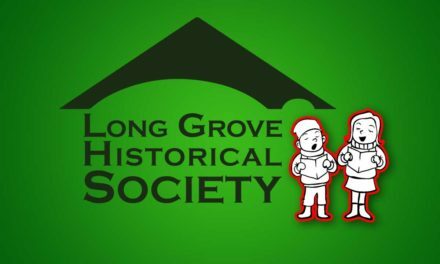 If you would like to join the Long Grove Historical Society, you can do so on our membership page. If I just show up without a reservation, can I go on the walk? Maybe. We’ll try to work you in when we have no-shows.